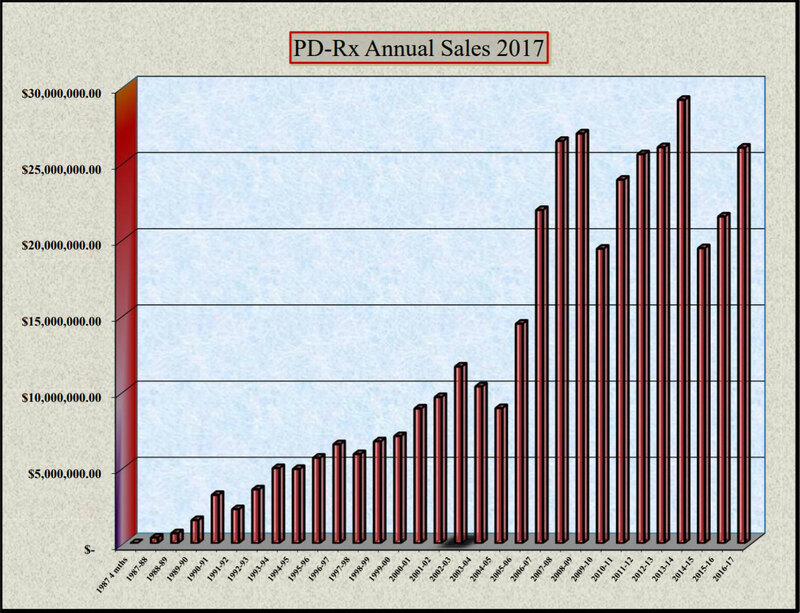 PDRX announced a $2.20 dividend to paid December 12th. Can’t find the dividend news. Where did you find it? Thanks. The $2.20 dividend is payable to holders as of November 30, so I’m surprised to see the stock still hanging in above $6.50. Even if you take the weekly high of $7.24, you would think the $2.20 dividend would drop the share into the $5.00 or slightly higher as PDRX should now be seen as more shareholder responsive. I sold mine at $6.71 and expect I will be able to buy back a lot cheaper in a few weeks when people receive the dividend and realize the stock value has decreased. Thanks for your shares Brent! Maybe do a little bit more research next time before you sell your super illiquid microcap holding. Google ‘special dividend’. Thanks Microcaptian. Press release misleading as states record date was November 30th. I’ve often seen press releases specifically call out that trading will include the dividend until the pay date in other special dividends situations, but this did not do that either. Oh well, stock has a highish p/e, so I was thinking of cashing out and I still did make 47% since my purchase in 2017, so not the end of the world. You made a very bad decision based upon a misunderstanding of how the stock market works and a lack of self-reflection. In a super illiquid stock there’s suddenly volume at high prices – completely incongruent with your theory about the dividend. So either the entire market is wrong about the dividend or you are. But instead of figuring our if you are mistaken you blindly sell your shares and brag about it here. And when people tell you that you made a mistake you try to justify what you did after the fact by saying “oh well it was expensive anyway and I made a profit” A classic case of thesis drift. If you do stuff like that you are the ‘fish at the table’, as they say in poker. Do you think the author of this blog also sold his shares at 6.71? Of course not, he’s actually making money from uninformed market participants doing stupid stuff like that. I think it’s actually beneficial for you that I point that out in a blunt manner. Spare the rod, spoil the child.